Daily oral administration of CBD resulted in lower blood glucose and plasma glucagon, and higher plasma insulin. When administered at diagnosis, the inflammatory response that kills pancreatic cells was halted. Diabetes is one of the most prevalent adverse health outcomes in North America, where prevalence is estimated at 10% and the economic impact at $245 billion. Most recently, the relationship between cannabis use and diabetes has been assessed using data from the National Epidemiological Survey. All available epidemiological studies indicate that there is either no difference in likelihood, or even a decreased likelihood of acquiring Type 2 diabetes for cannabis users compared to the non-users. The study about to be discussed found that cannabinoids can stop the destruction of pancreatic cells. Given the biological mechanisms involving the anti-inflammatory effects of cannabinoids, these studies suggest that somehow cannabinoids confer a protective effect in terms of diabetes. Although studies directly assessing this possibility are currently lacking, there is ample evidence to suggest that the individual physiological events that lead to the development of diabetes could be mitigated by cannabinoid-based actions. 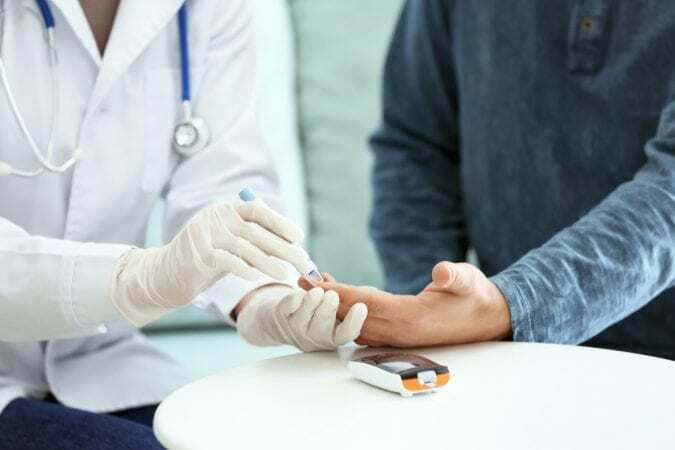 Type 1 diabetes is an autoimmune disease where the patient’s pancreatic beta-cells, called islets, that produce insulin, become attacked by the body’s own inflammatory cells, called Th1 lymphocytes. As a result, majority of the islets are destroyed; however, about 10% of them still remain. 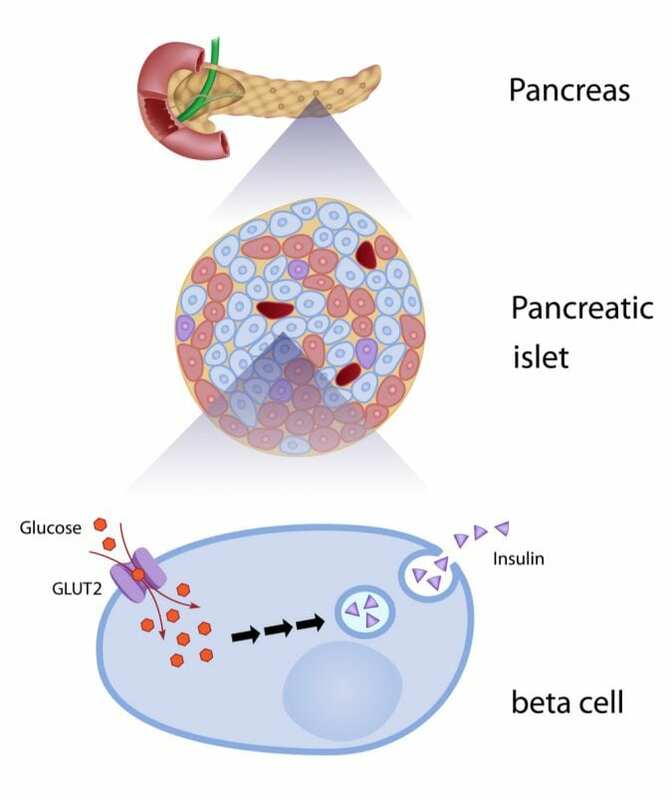 In fact, with this 10% of beta cells, approximately half of the patients will remain insulin independent for about one year after the diagnosis. This suggests that indeed, it is worth devising strategies to save the remaining pancreatic insulin producing cells. 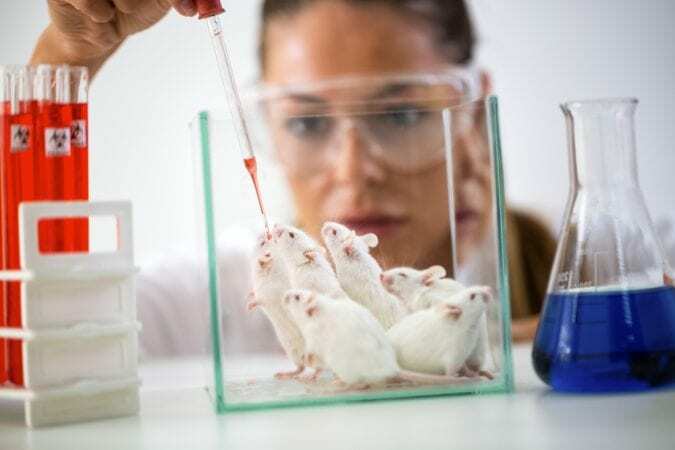 Researchers conducted experiments in non-obese diabetes-prone mice to test whether CBD administration in this crucial period before the onset of disease and its manifestations would be beneficial. They found that only about 30% of mice developed diabetes compared to the placebo group in which most of them did (86%). They postulated that the anti-inflammatory effect of CBD is the driving force behind this effect, and indeed they found that circulatory pro-inflammatory markers INF-g and TNF-a were reduced. On the other hand, the anti-inflammatory markers IL-4 and IL-10 were increased. Since these are produced by the anti-inflammatory immune cells, called Th2-lymphocytes and macrophages, it is possible that CBD causes a shift from mainly Th1-immune cells that lead to destruction of islets, to the protective Th2-lymphocytes. This was further supported by the histological examination of the pancreas tissue obtained from these mice, which showed markedly reduced inflammation and Th-1 associated markers. Then the next question arose of whether cannabinoids could improve disease state for Type 1 diabetes, after its onset. This time, the researchers conducted experiments in older mice which had already developed the disease. Indeed, it was found that CBD treatment significantly reduced diabetes manifestations. Histological examination of the pancreatic tissue confirmed that CBD-treated mice had more intact islets than the controls. In line with this data, similar results were obtained from a mouse model of Type II diabetes. Daily oral administration of CBD resulted in lower blood glucose and plasma glucagon, and higher plasma insulin, while long-term treatment markedly improved glucose tolerance and insulin sensitivity, while decreasing total cholesterol and triglycerides. These actions seem to be mediated via a non-cannabinoid receptor, GRP55 which is modulated by CBD. These are exciting findings, as they suggest that actions of cannabinoids could be beneficial in human patients in early stages of the Type 1 diabetes onset, as well as in Type 2 diabetes. If in fact, as the studies in mice suggest, CBD causes a switch from Th1-immune cells to Th-2 immune cells, making the latter group more prominent, this would have tremendous therapeutic potential. 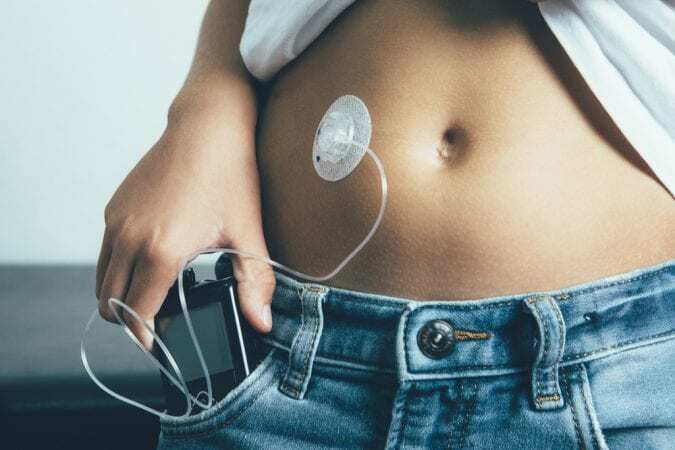 Such therapy would also be short-term, as opposed to lifelong (such as currently the situation for patients with Type 1 diabetes needing lifelong exogenous insulin). Once the inflammatory response becomes toned down by the cannabinoid-based treatments, it would no longer be required, and larger number of patient’s insulin-producing islets would be saved from destruction. 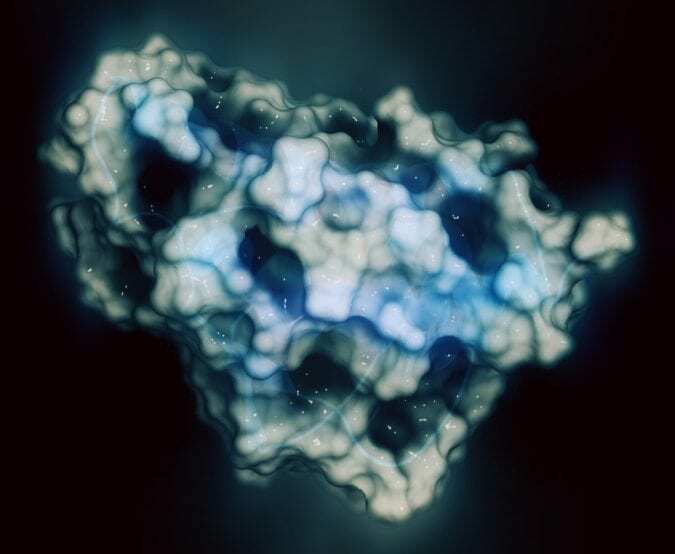 Studies are still needed to prove that this shift from Th1 to Th2 immune cells actually happens in humans, as the pre-clinical studies in mouse models suggest. Likewise, the therapeutic potential of interaction between CBD and GPR55 receptor for the treatment of Type 2 diabetes is currently very attractive.